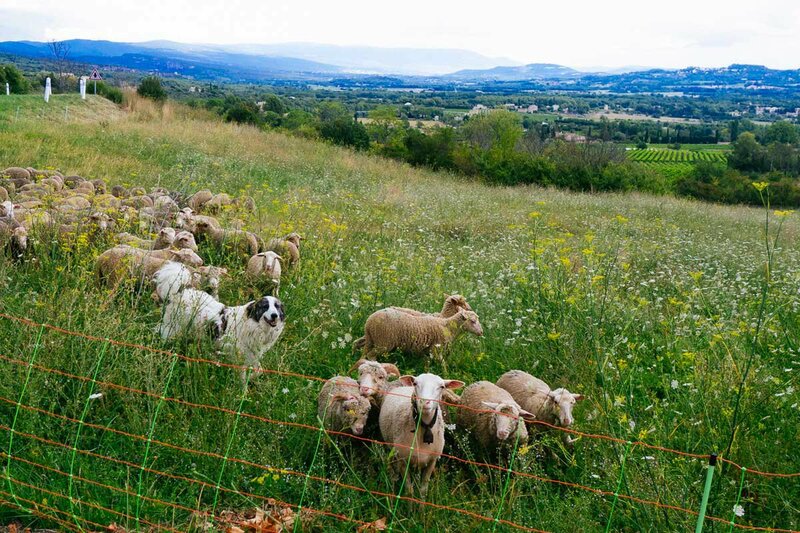 Sheep in Gordes. All photos by Karen Bianchi. SoCal photographer Karen Bianchi took a family trip to Italy but first made a detour through France. 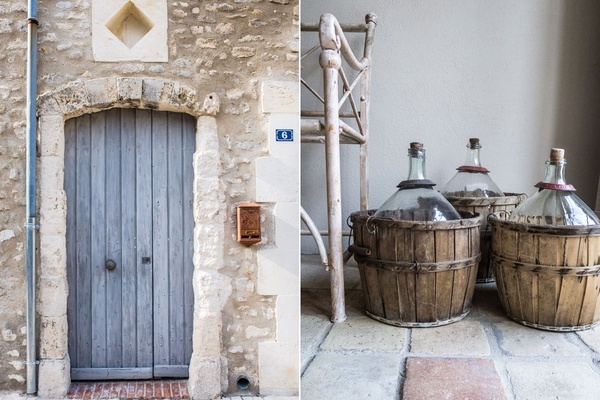 She reports back with stunning photos and effusive love for a tiny vacation rental in St. Remy-de-Provence. 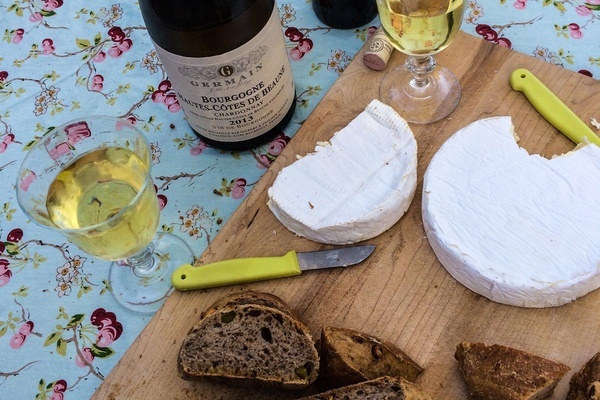 So, what brought you to Provence? I had originally planned a family trip to Italy to try out a few villas in Veneto Umbria. But I adore France, so I decided to tack on a couple of weeks for a little road trip with a friend before my family vacation. My friend and I flew into Paris from Los Angeles via Air France. We rented a car when we left Paris and drove down the A-6 to the Bourgogne area for a few days and continued to St. Remy. I then flew out of Marseille to Venice. Two nights in Paris at , three nights at a friend's farmhouse in the Buorgogne region, three nights in St. Remy-de-Provence at the most beautiful VRBO called . St. Remy was our homebase from where we made day trips to Gordes, Goult, Sault, Aix-en-Provence, and Cassis, and one last night in Marseille before I left for Italy. In Italy, my family stayed at a farmhouse in the Veneto region called . We stayed there for a week and took day trips to Padua, Verona, Venice, Modena, Monfumo. Then we drove down to the gorgeous in Umbria for another four days. We took a day trip to Cortona and hung out at our villa at Castello di Reschio because, well, who would want to leave? Then off to in Rome for two nights before our flight back to Los Angeles. Driving gave me the freedom to go at my own pace and schedule. I don't mind driving on the little village roads but the highways are another story. You better be a Le Mans driver! And there are so many toll roads. Carry cash! A quick stop for lunch at Le Grand Bleu in Cassis. Provence is stunning, with its beautiful landscape and views from the hilltop villages. Of course, the food and wine are incredible. A little Cotes du Provence rosé is a great starting point for any afternoon. 1. Glad you packed: An extra duffel bag rolled up in my suitcase to bring home things I bought. 2. Didn't need: My workout clothes. I was gone for a month with good intentions but, oh well. 3. Brought back: French baskets, antique silver from a brocante, clothes. 1. Meals: Dinner at in St. Remy. La Trinquette in Gordes. Drinks outside at in Aix-en-Provence. 2. Site: I loved the market at St. Remy which happens every Wednesday. I found the most amazing cheese, olives, spices, and other food. Also great antiques and clothes. 3. Cafe: in Gordes. This is where they filmed the movie A Good Year with Russell Crowe. Great place to have lunch and people watch. I could always stay longer but then there is always somewhere new to explore. I am always contemplating the next trip while on a trip; the idea for this one was thought up last year while I was in Turkey. Charming details at Le Petit Bijou. , the perfect little VRBO we stayed at in St. Remy. It was beautiful and the location was a perfect ten. Walk out the door and you are on a quiet little street but just two minutes from the center of town. Driving up the winding road and seeing the hilltop village of Gordes. There are so many great little villages to visit in close proximity that you can stay in one place and really get the feel of the city and still take quick day trips. More scenes from the Provenςal countryside. Karen is a travel and and from Southern California. She travels for the different cultures, the new adventures, and the great food and wine. And of course, for the photo op.